A site uniquely positioned to tell the story of the Transatlantic Slave Trade. Including an international conference center, a luxury hotel and additional venues for entertainment. The lead architect for the project is world renowned Ghanaian, David Adjaye. Featuring multiple exhibitions displaying the grandeur of West Africa, both past and present. The Obama family visits Cape Coast Castle to reconnect with Michelle's Ghanaian heritage. Used to hold slaves before they were loaded onto ships and traded in the Americas and the Caribbean. Learn about the vision, objectives, and team responsible for developing the museum. Get the facts on the African Slave Trade and the historic slave castles. Provide your feedback on the project and give input on how you would like to participate. A historic state of the art museum is going to be built in Ghana. 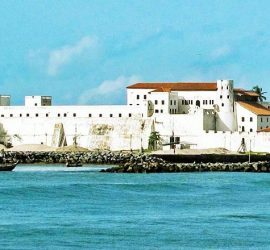 This international museum named Ghana National Museum on Slavery and Freedom (GNMoSaF), a non-GovernmentaL Organisation, has received Ghana government’s approval and support to be developed at a location near the historic castles of Cape Coast and Elmina, both of which have been designated World Heritage Sites by UNESCO. 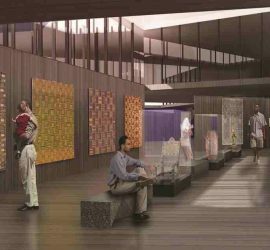 The museum will serve as the cornerstone of a larger cultural heritage complex which includes a conference center, hotels, shopping, and an entertainment venue for tourists and the people of Ghana. 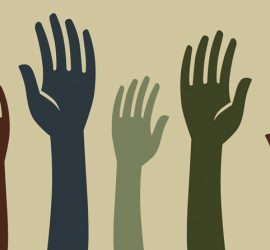 GNMOSAF, as an international institution, will provide archival preservation, documentation, interpretation and education about the Transatlantic Slave Trade and the struggles of African countries for emancipation from colonialism. Upon completion, the $US200+ million development project will stand as one of Africa’s most important cultural resources and institutions advocating the eradication of all forms of modern day slavery and human trafficking. By honoring the lives of past victims of slavery, we seize the opportunity to reconcile as a people globally and to forge a united front against all forms of subjugation and oppression. Grand Opening Summer 2022!